On Wednesday beautiful First Lady Melania Trump joined Sean Hannity for a rare television interview. The First Lady spent time this week with poor children and visiting US military personnel. Melania Trump is arguably the smartest, most accomplished, and most beautiful First Lady in history. She also is very gracious and careful with her words. During the interview Melania shared how displeased she was with the constant media attacks on herself and her family. 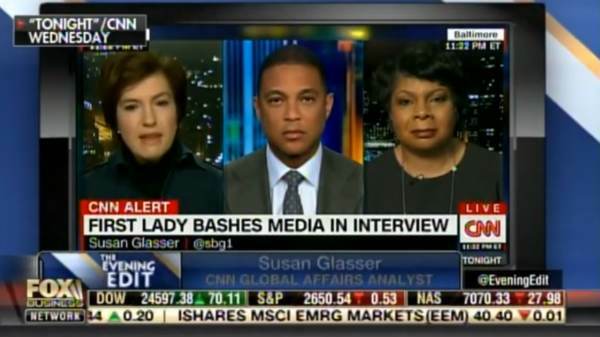 Liberal hacks at CNN blasted the First Lady for complaining about their constant criticism. This was a new low for the anti-Trump blowhards at CNN. Of course, the liberal media SAID NOTHING when Michelle Obama whined that White House life was like being in prison.